There is something magical about summertime. The kids are home from school and the sun is out and it’s time to play! But after a while, we all need something too cool off. These circle gummy popsicles are a great treat that are easy and quick to make and fun for everyone! 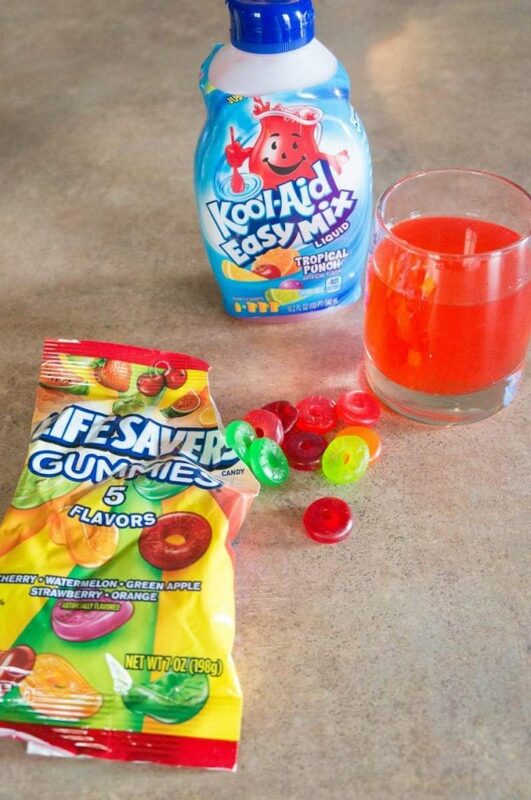 Start by mixing one 8-oz cup of Kool-Aid Easy Mix liquid. You use 8oz of cold water and just 1.5 Tablespoons of Kool-Aid Easy Mix Liquid and stir to combine. I used a Zoku popsicle maker to create my popsicles which freezes them in just minutes so you can decide you want a popsicle, and be enjoying one 10 minutes later! 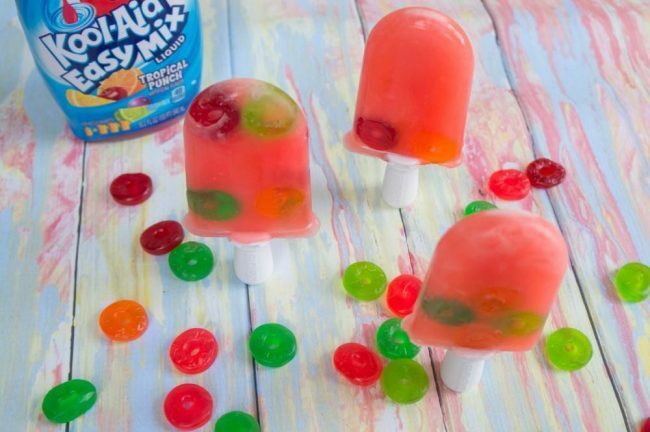 You can make these popsicles in any popsicle mold, but the gummy circles may not hold to the edge of the popsicle as well. Briefly wet your gummy circles. Use a Zoku tool to press the gummy circles to the edge of the popsicle molds, giving them a few seconds to freeze before adding the juice. You can also put the handles into each mold and then press the gummy circles down into the cavities around the handles. After you’ve added the gummies, pour in your Kool-Aid stopping at the fill line. 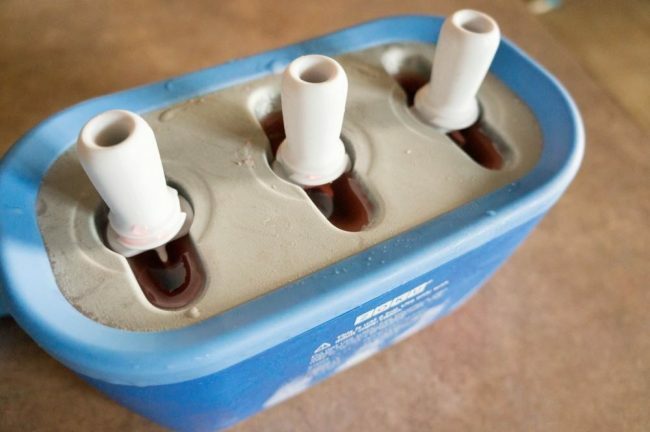 Allow the popsicles to freeze completely and then enjoy! Kool-Aid Easy Mix Liquid makes it simple to make just a single cup worth of drink mix to make up to 3 popsicles at a time or serve just one cup of a drink instead of needing to mix up a full pitcher at a time. The mix is pre-sweetened and mixes effortlessly as you don’t need to dissolve, just add water and stir! Each bottle of Kool-Aid Easy Mix Liquid can make 24 glasses or 6 quarts. It contains 40 calories be 1-glass serving and 50% less sugar than leading regular sodas. Look for this new mix at your local Walmart in Grape, Cherry and Tropical Punch flavors. My daughter would love this thanks for sharing. My kids would really enjoy these!! i am loving these new easy mixes. they are making me think of so many fun and creative ways to keep my family hydrated. we make popsicles too since they are a quick and easy treat my kids can help make. What a fun idea, these would be a hit in my home with my kids! What a fun combination! These look so delicious. I will have to make some this weekend. The kids will love them. Cool! The gummies look really cute in those popsicle. I bet they taste great with the Koolaid! Kool Aid and candy are like a kid’s best friend! I know my three would love these. Love how simple this is to make. My daughter will love this popsicle for a summer treat. This is such a great idea. My son would love these. So would I! My daughter would love this cute treat! 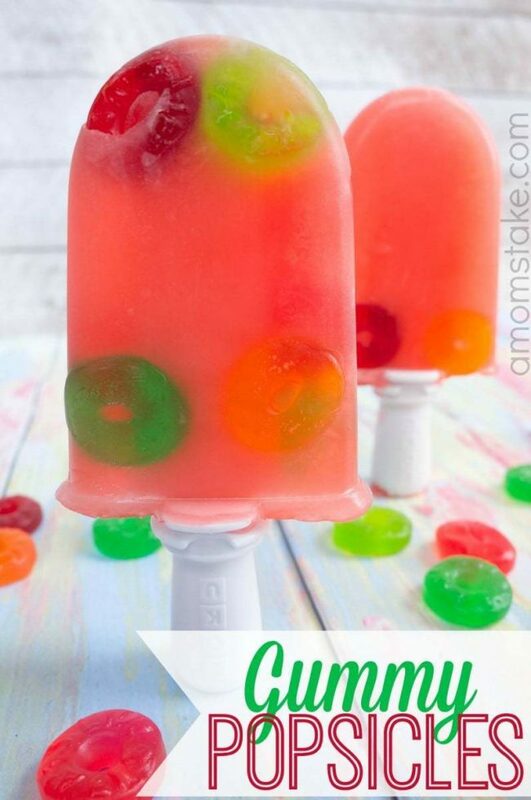 I never thought of putting gummies in frozen pops, but it looks like it works and it is yummy! A summer treat I would love to have too. I love this idea. My kids would love these, too! I know my son would really enjoy helping make and eat these. Oh those look so cute and fun! Oh the kids would love those! I have never made my own at home….but I will have to try them! Looks like a fun idea for a birthday party as well. 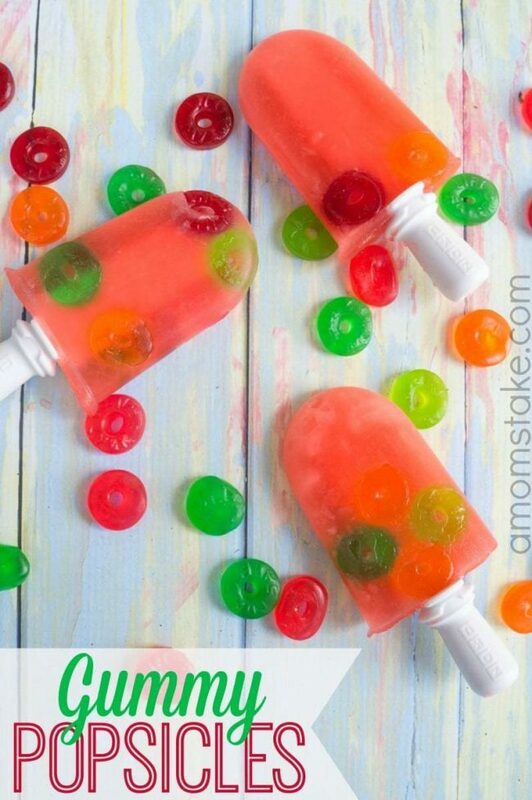 I have to make these awesome Gummy Popsicles! My niece and nephew would love these fun treats for Summer when they come over. Thanks for the awesome idea! I would love to have one of these popsicle making machines. These popsicles look so yummy and refreshing. My grandsons would love these. Of course I would probably have to make them every other day being that the one grandson lives here and the other two are here almost every other day. They love to make “cool” things to eat and they love “gummy” bears life savers, etc. So these sure would be a hit at my house. My kids would love these gummy popsicles, awesome treat for these warmers days we have been having.